An alarm light is an indication panel that allows facility operators monitor the status of a variety of different alarms. 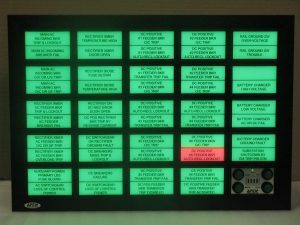 Our company has been the supplier Alarm Light Panels to over 40 different countries in the past 35 years. APEX Automation Solutions designs and manufacture custom Alarm Lights based on your specifications. 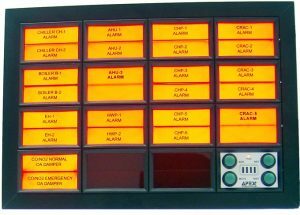 Our products are perfect for new or revamping projects to replace the existing Annunciators. We minimize the required modifications on existing enclosures and panels.